We spoke with Martin Philp, Director 3DEO, to find out more about this interesting Start Up and what the new partnership means for the company. Hi Martin. Can you tell me about 3DEO and what your company does? 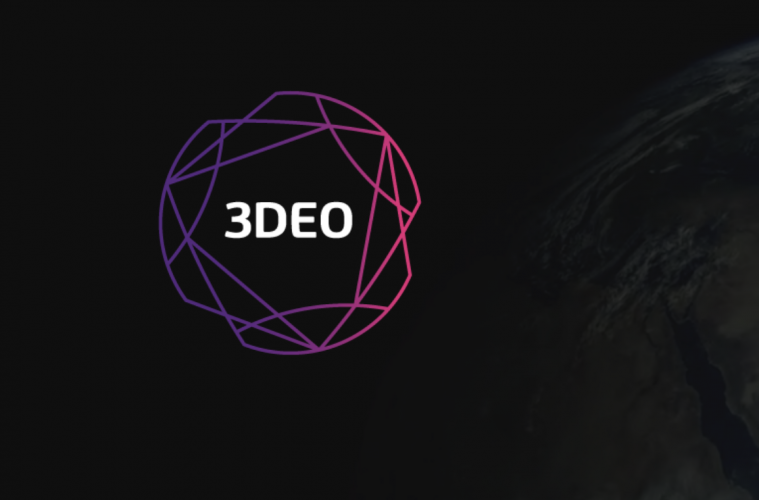 By combining technologies from immersive 3D, financial services, television and earth observation, 3DEO have developed a new approach to the interaction with and presentation of diverse data, from space to smartphones. 3DEO think and inform visually revealing much more than can be seen from traditional perspectives. 3DEO solutions have widespread application, from defence to disaster risk management, estate management and financial markets insight. Where are you based and how many people work for 3DEO? 3DEO are based in the Scottish Provident Building, in Donegall Square, by the City Hall in Belfast. There are 12 of us currently, but we are always recruiting talented and enthusiastic engineers, developers and data scientists. The company first traded in December 2016, we were formed earlier that year. We bring together diverse technologies and experience in one organization taking a pragmatic approach to combining and exploiting those capabilities. We are collaborative in the true sense, working with world-leading organizations to exploit their technology and capabilities, or as we say, standing on the shoulders of giants. We are client and end user focussed and needs driven, delivering toolsets and custom solutions for diverse applications and markets. First Derivatives also give us excellent support alongside their investment in 3DEO, including access to their technology, their sales and marketing resources, and insightful advice from their senior management team and advisors. We are currently in negotiations with multiple organizations in relation to delivering solutions to them. Our biggest win to date is the high level of interest and engagement we are already generating. You recently made an announcement about a partnership with Ghalam. Can you tell me about that and why it is important for 3DEO? Ghalam are an amazing organization, they provide high-end consultancy, design and manufacturing to the global Space industry. They have a very deep talent pool of engineers, scientists, and developers which they combine with a similar solutions-focused approach to our own. The partnership brings to 3DEO proven disruptive radio technology we would have taken years to develop for the space sector, the resources on which to develop further joint solutions and we help Ghalam with bringing their technology to the global market. We are also working with them to develop a truly disruptive ground processing solution for earth observation satellites incorporating our analytics and visualisation solutions. Who is your target market for this? With Ghalam, we are targeting small satellite manufacturers and operators including universities building their own satellites, to help them receive and transmit, process, catalogue, analyse and visualize the data from their space assets. We have two Directors, Andy MacPherson, who is CEO, and myself. We have our excellent new CTO, Richard Dalzell, and our team of engineers based in Belfast. What are 3DEO’s plans for the near future? We are going from strength to strength as we look to deliver on our first projects, recruit to meet the growth as we build on those wins, and move into export markets with some of our key developments and services. We are very keen advocates of STEM education and bringing the next generation of talent through.